Thomas Debass, the Acting Special Representative for Global Partnerships at the U.S. Department of State, discusses significant work achieved by partnering likeminded organizations in order to find effective solutions to some of the world’s most pressing issues. 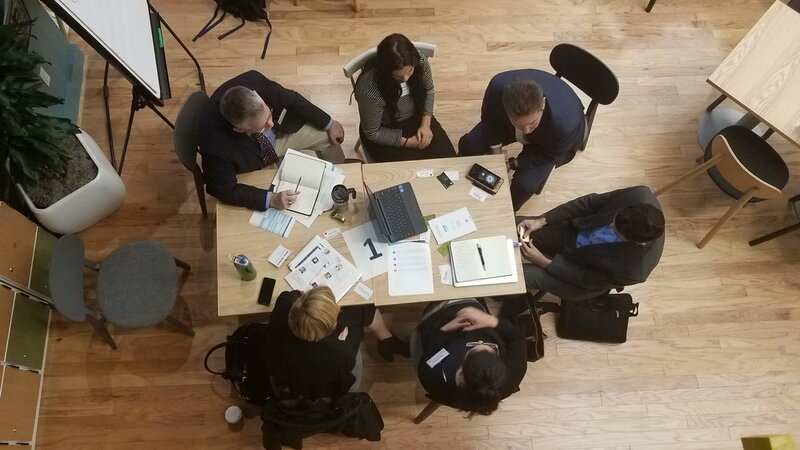 In a brightly lit shared office space in the D.C. area, a cohort comprising of six groups gather for a three-day crash-course to learn how to navigate the process for creating public-private partnerships to scale the results of their initiatives. With a passion for promoting tolerance for all people, regardless of background or religion, many of the groups have the ideas and the beginning legwork for their initiatives, but lack the necessary resources or networks to expand their impact. That is where Boldline comes in. The regions and specific challenges the six groups are seeking to address are diverse, but all of them converge on a central theme of religious freedom as a humanitarian right for all. The participants in our Boldline Partnership Accelerator on Religious Freedom (Boldine RF), represent six unique organizations working on various aspects of religious freedom around the globe. The problems the world faces today, including religious persecution, can often seem intractable, far beyond the capacity of any one entity to solve alone. However, the groups represented at Boldline symbolize the passionate core of those who acknowledge a humanitarian challenge and make a commitment to solve it. Multi-Faith Neighbors Network: (Glocal.net): Based out of the U.S and started by an evangelical preacher and an Imam, they work to bridge the divide between Christian and Muslim communities in the U.S., Pakistan, and elsewhere, by building a network of faith leaders who promote civic engagement and mutual understanding between faiths. Humanitarian, Business, & Justice Efforts (Free Yezidi Foundation): This group is devoted to promoting the Yezidi humanitarian recovery in Iraq, as well as working with survivors of genocide to seek justice and accountability. Dalit Lawyer Initiative (International Commission for Dalit Rights): The Dalit Lawyer Initiative is building a transnational/transregional network of Dalit lawyers that will litigate on behalf of Dalit victims’ access to justice. Deploying Global Quick Reaction Teams to Investigate Attacks on International Religious Freedom (Commission for International Justice and Accountability and CIJA US): This partnership seeks to establish a Global Quick Response Team (QRT) to support the investigation and prosecution of conflict or atrocity-related attacks against religious minorities. Promoting Peaceful Coexistence and Inclusive Communities (Hardwired Global): Hardwired is currently developing a sustainable model for religious freedom education in Iraq that can be scaled in the surrounding area to build resiliency against ideas of intolerance that have destabilized the region. OMNIA’s Solution (OMNIA Institute for Contextual Leadership): The group trains religious leaders and people of faith to build Interfaith Peacemaker Teams, rapid response units geared to pursue reconciliation after religious-based violence. Throughout their three days at Boldline, they are being connected with people, organizations, and potential resources to help them broaden their goals. The passion of these groups and the power partnerships can have on scaling their initiatives cannot be underestimated. Public-private partnerships (PPPs) have been a buzzword in Washington for over a decade and for good reason. Cross sector engagement and cooperation is absolutely vital to addressing the problems of today’s world. In a time of fixed budgets, the government cannot solve all of the world’s problems on its own. Similarly, NGOs often have the know-how for on-the-ground program implementation, but often lack the resources to scale and sustain their initiatives. Private sector entities often have significant resources that they can bring to bear, as well as market-based solutions to enhance the sustainability of initiatives. However, they are often reluctant to invest in social good initiatives that they view as higher risk. The U.S. government has the scale, creditability and convening power to mitigate risk and deliver meaningful resources, however its resources are often constrained and it lacks on-the-ground implementation capacity. Only by working together— leveraging the talents and resources of government, the private sector, NGOs, and devoted individuals— can major issues, such as religious persecution, be tackled successfully. For over 10 years, the Office of Global Partnerships has strived to expand the role of partnerships in U.S. foreign policy and development. Launched in 2008 at the recommendation of the Advisory Committee for Transformational Diplomacy, the Office for Global Partnerships has spent the last decade not just proselytizing the benefits of partnerships within the U.S. Department of State, but also demonstrating their value first hand. One of its flagship public-private partnerships is the WiSci (Women in Science) STEAM Camp. 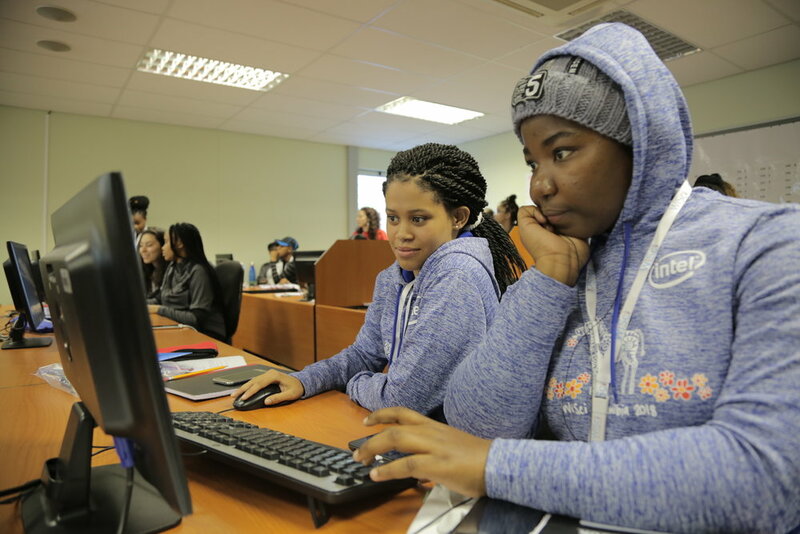 WiSci began as a relatively small partnership between the U.S. Department of State, Intel, AOL, Microsoft, and the United Nations Foundation’s GirlUp. 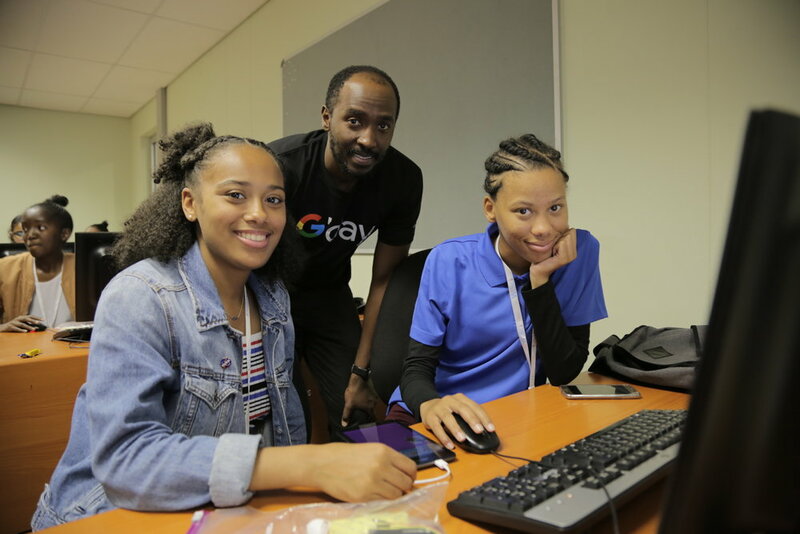 The goal was to provide a select group of girls an opportunity to learn about how STEAM (science, technology, engineering, arts and design, and mathematics) could impact their lives and the world around them. The first camp, in Rwanda, brought 30 U.S. high school girls together with 90 of their peers from 8 different Sub-Saharan African nations for over 200 hours of STEAM and leadership curriculum, empowering these young women to go back to their respective communities and become change-makers. Since the first camp, S/GP has worked with various partners to replicate the camp in Peru (2017), Malawi (2017), Namibia (2018), and Georgia (2018) with more camps being planned for 2019. In 2018, WiSci was made possible through partnership with Girl Up, Intel, Google, Millennium Challenge Corporation, American Society for Microbiology, NASA, and World Learning. Another exciting partnership the office is proud to be a part of is the P3 Impact Awards. 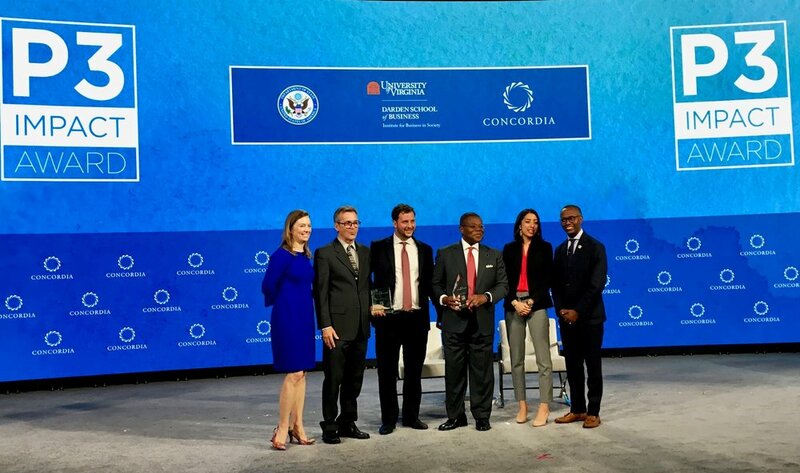 In partnership with Concordia, a nonprofit that facilitates partnership for social impact, and the University of Virginia Darden School of Business Institute for Business in Society (iBiS), annual award is presented on the fringes of the U.N. General Assembly to a deserving public-private partnership that has had a significant impact during the previous year. The 2018 award winner, Kosmos Innovation Center, is a Ghana-based partnership that leverages tech-savvy youth to innovate solutions in the agricultural sector. Kosmos Innovation Center provides business training, mentorship, and other resources to entrepreneurs who work to solve persistent challenges in Ghana. The P3 Impact Awards not only operate as a platform for showcasing effective public-private partnerships, but also serve as a source of inspiration for private and public sector organizations to look beyond their respective sectors to scale their efforts. 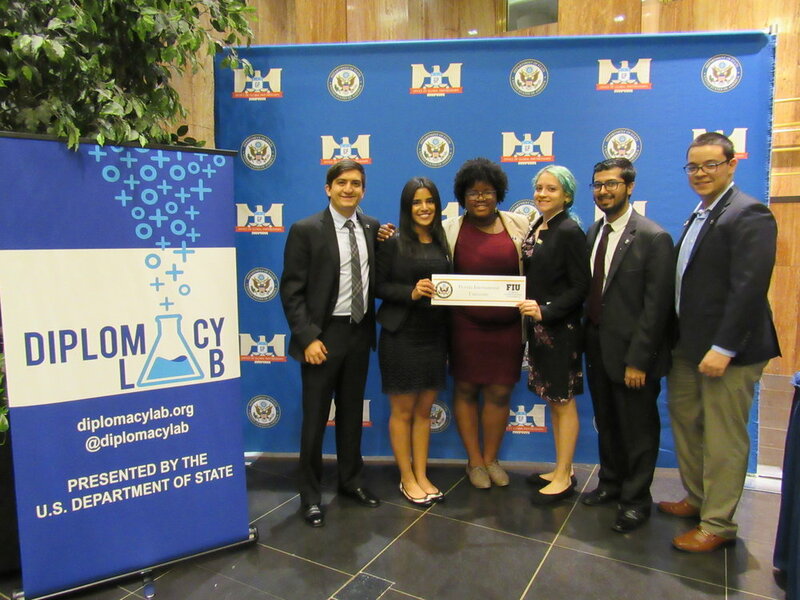 Recognizing the potential to tap into quality research produced by academia and potential to connect and integrate students at U.S. universities with the work of diplomacy, the Office of Global Partnerships has institutionalized relationships with over 30 universities through their Diplomacy Lab network. Diplomacy Lab “course-sources” research for the Department of State from students and faculty across the country. The schools in the program range from community colleges to Ivy Leagues, and represent a diverse array of geographic, socio-economic, and academic backgrounds, ensuring that the Department is provided with insight from outside its traditional beltway boundaries. The network of university partners continues to grow, and will count the University of Southern California among its ranks by early 2019. Boldline, WiSci, the P3 Impact Awards, and Diplomacy Lab serve as just a sampling for the work we do to increase cross-sector engagement. Through public-private partnerships trainings in Washington, D.C., and at our respective embassies around the world, we hope partnerships continue to be adopted as a necessary mechanism for generating results and expanding impact. The U.S. Department of State’s mission is to “create a more secure, democratic, and prosperous world for the benefit of the American people and the international community.” This mission cannot be accomplished without the passion, entrepreneurship, and innovative ideas that are generated in the private sector and within NGOs. On the other hand, those same private sector and civil society actors can often lack the reach of a government agency like the U.S. Department of State. Imagine for a moment, a collection of dots in the same space but not converging. Each of them represents an organization: an NGO, a private sector company, a government agency, an academic institution. Some of their goals overlap yet they may not immediately realize it. We attempt to connect these seemingly disparate dots to form a bold line between each of them, ensuring that they realize they are part of one ecosystem. Bold lines create partnerships. With partnerships, collectively, we’re more likely to find effective and sustainable solutions to the top challenges our country and allies face today. This is why we continue to emphasize the power of public-private partnerships. By bringing together disparate actors with different assets and resources, partnerships become more than the sum of their parts. Thomas Debass is the Acting Special Representative for Global Partnerships at the U.S. Department of State where he is responsible for coordinating the Department’s private sector engagement efforts and providing thought leadership on partnerships related to economic growth, global finance, entrepreneurship, and innovation.